Chen Shi is a master of the wing chun style. According to the wishes of his deceased teacher, he moves to Tianjin to start a school and pass his secret knowledge to future generations. It is not an easy task – to get the privilege of being a teacher in the city, first you have to train a student gifted enough to defeat the best trainees from eight local centers, which teach the most refined of techniques. 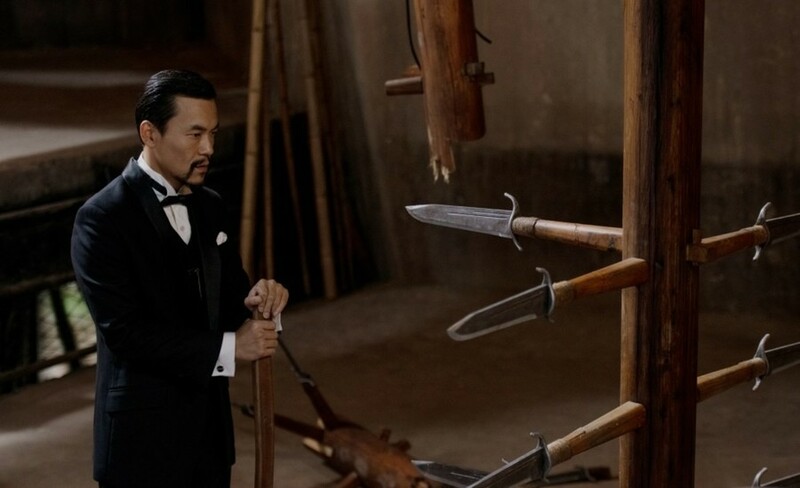 Set in the 1930s, Xu Haofeng's film is a long-awaited stylistic gem, a tribute to the classic martial arts cinema, and a moving story about a disappearing world. The colorful, often tragic biographies of Chen Shi's opponents, create a tale of the ethos of the olden day warriors, disappearing in the new political reality. It makes the amazing, classic combat scenes choreography even more energetic – every movement is filled with underlying emotions, and each battle, betrayal or intrigue, gains a deeper meaning in the historical context. The film combines stunningly dynamic action scenes with nostalgia for the beauty of the era. The inventive weapons, picturesque streets of Tianjin, stylish interiors, and impeccable costumes turn out to be a truly seductive mixture. Born in 1973. Director, screenwriter, teacher, writer, combat scenes choreographer. The author of the script for Wong Kar-wai's "The Grandmaster," which brought him the Hongkong Film Award, and the novel "Monk Comes Down the Mountain," recently filmed by Chen Kaige.